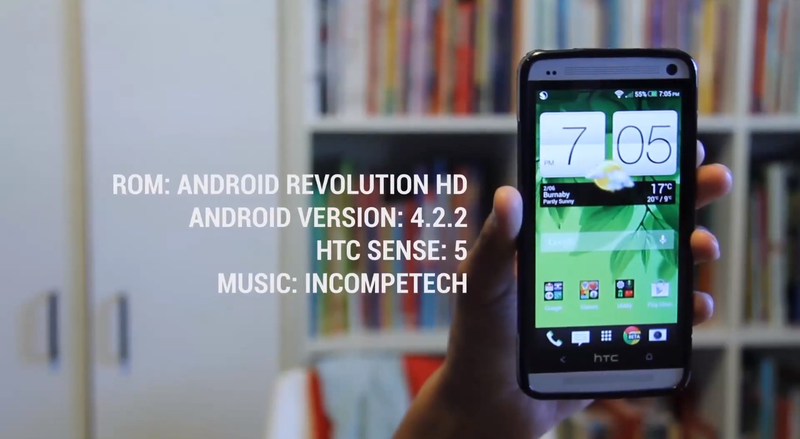 If there was one thing you could harp on the HTC One when it launched, it would be that it only came with Android 4.1.2, which was a version behind AOSP and other competing phones. We’ve heard rumors that 4.2.2 is coming to the One here and there, but thanks to the Android Revolution crew, we can get a sneak peek as to what Sense and Android 4.2.2 will look like together. One of the biggest additions to the overall experience is Android’s quick settings being added to the notification center. Finding them is easy, they can be accessed from the top right corner just like in stock 4.2.2. A battery percentage meter can now be added to the notification bar at the top of the phone, a highly requested feature that HTC decided to give to us. This ROM isn’t an official update by any means, but it gives us a good idea of what the newest version of Android could look like on the One. If you want to see the other new features watch the full video.